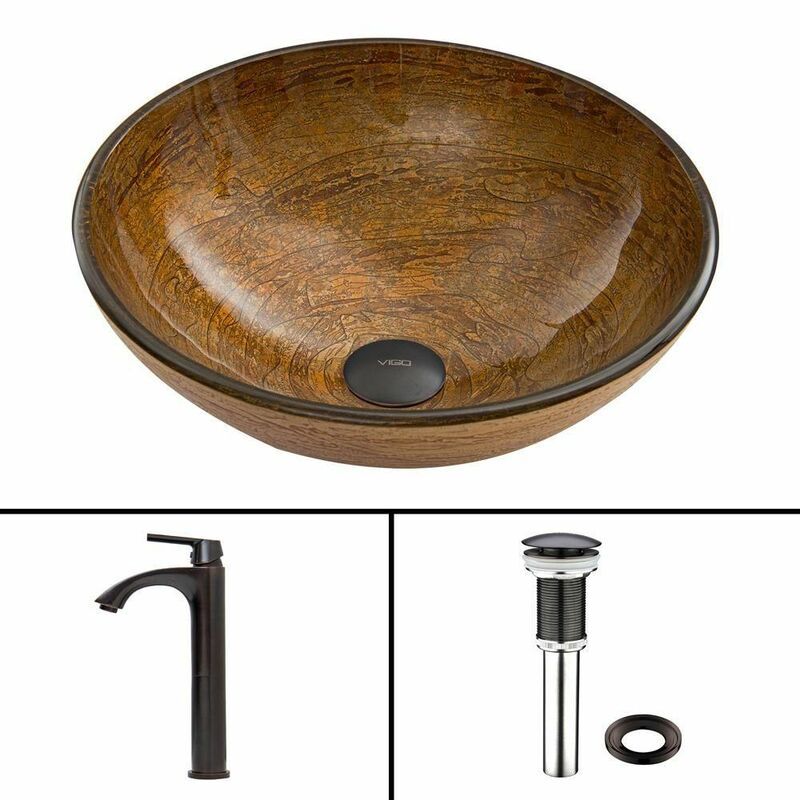 Glass Vessel Sink in Cappuccino Swirl with Linus Faucet in Antique Rubbed Bronze is rated 5.0 out of 5 by 1. Rated 5 out of 5 by moomow from Very Pleased!! Couldn't decide on having a drop in or a vessel sink in the vanity I had purchased to update my bathroom a month ago. I am so very glad that I chose this vessel sink and faucet combo from Vigo. It is gorgeous and fit perfectly. My husband wasn't too keen on the "new" style but after he installed it, he was quite impressed with the quality of the faucet and the ease of install. Very smooth movement of the faucet handle and perfect height with no splash when fully open. The bronze colored metal is very rich. He admitted just the other day that it has added a nice touch to the bathroom and he actually likes it!! I love it. It was a very good purchase and choice I must say.